Thermage is a non-invasive, radiofrequency cosmetic procedure that has been clinically proven to help smooth and improve the skin’s texture for a more youthful and attractive appearance. Thermage treatments are highly sought after because they produce the results that patients are hoping for without the downtime of a more invasive facial cosmetic procedure. 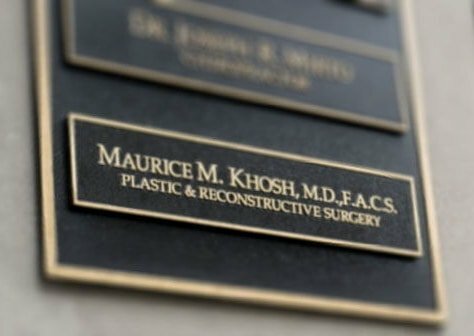 Dr. Maurice Khosh understands the desire to combat the signs of aging, and he also understands that not everyone is willing to undergo surgical procedures to improve their appearance. Thermage is a non-surgical facial treatment that can help patients feel more confident in their skin with the glow of confidence and youthfulness that they desire. In as little as one procedure, for all skin types, Thermage patients will reveal natural looking results that improve the texture and appearance of their skin. 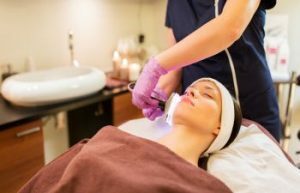 Thermage treatments use a radio frequency device that heats the deeper layer of skin to enhance collagen production and immediately tighten the skin. As the deeper layers of skin heal from the procedure, collagen production increases and helps tighten the skin, reducing the signs of aging, wrinkles, and loose skin. Thermage treatment is an ideal option for those who want the benefits of a face lift without the invasive surgical procedure, downtime, and expense associated with it. With Thermage treatments, there is no pain associated, and patients can immediately go back to their regular schedules. As with many non-surgical facial procedures, Thermage treatments offer more dramatic results with repeated procedures. 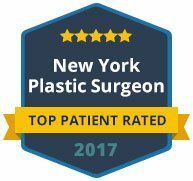 Dr. Khosh thoroughly evaluates his patients’ skin and speaks with them in depth to determine how many treatments will be necessary to provide the desired results. 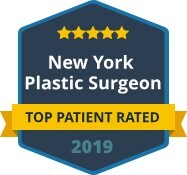 If you are here in the New York area and are interested in learning more about how Thermage treatments can improve the look and texture of your skin for a more youthful appearance, contact Dr. Maurice Khosh today. Our practice offers a wide range of non-invasive skin treatments and surgical options to help you achieve a rejuvenated appearance.